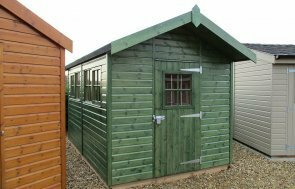 This 2.4 x 4.2m Superior Shed is part of our range of timber garden sheds, all of which include free full installation and delivery by our Installation Team, who will make sure your garden building is perfectly set up before they leave. 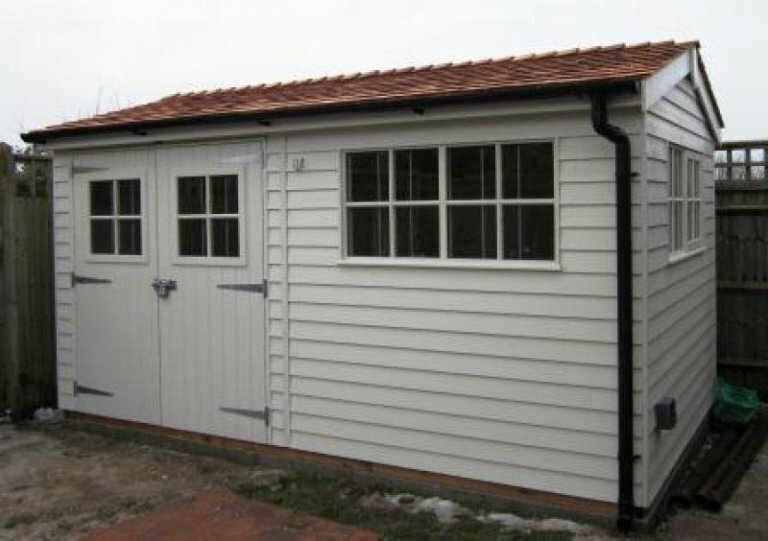 The exterior features weatherboard cladding, glazed double doors and a security pack that provides integral window bars, anti-pick, anti-crop lock and anti-tamper screws. 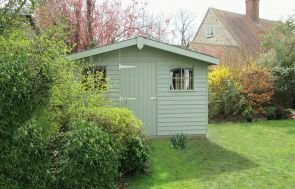 The shed benefits from a coating of light oak wood preservative, protecting it from the elements and adding a light stain. 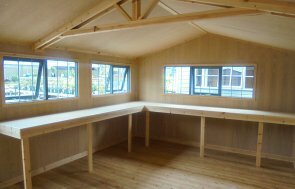 The interior was finished with oak-faced ply lining and insulation, together with an electrical pack, workbench and partition. If you would like to take a look at the build quality for yourself, our show centre in Lewes, just outside Brighton has around 25 different buildings on display. Why not make a visit this weekend? We are able to manufacture most of our buildings to your exact requirements, so If you would like to discuss your requirements with one of our team directly, please request a callback, contact us or call us on 01760 444229.